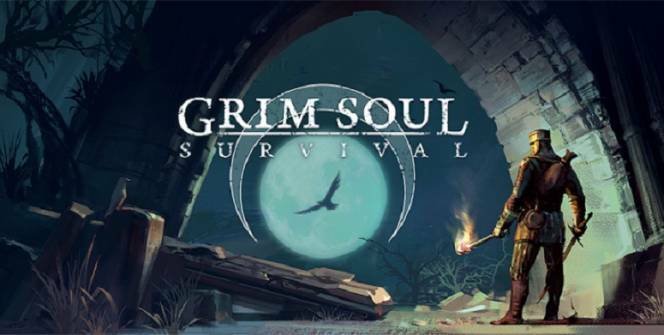 Grim Soul: Dark Fantasy Survival is an action survival game. The premise behind the game is solid and all that was left to make a stellar game was the right production quality. Unfortunately, the developers were unable deliver what players would have hoped for. The game starts with the player dropped in the middle of a creepy forest. The corpse of the last adventurer to play the game is right next to you so that you understand what the stakes are. This area is called Stronghold. This first area has everything that you need to understand the basics of the game. A few enemies will help you get the gist of combat and searching the small area will reward you with a few basic resources such as wood and stone. You can use the resources to build a small shelter. The player then ventures out into the eerie mist that surrounds Stonghold. 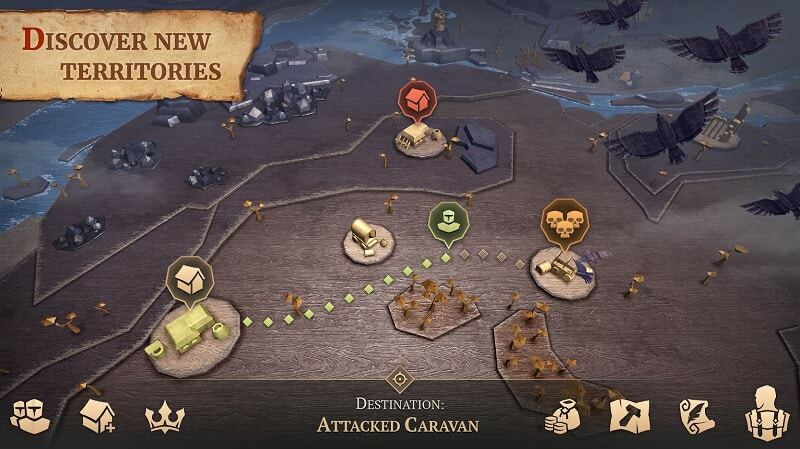 The world map on the other side of the mist is where you will find rival Strongholds and randomly-generated areas. These are the areas where you will have the most fun. The new areas have features similar to the first one. There are resources to collect and baddies to kill using simple combat mechanics. An energy meter will limit how much of these areas you can explore at a time. Leveling up is your reward for partaking in rather dull fight sequences. Each new level allows you to craft previously unavailable items but the payoff for how much boring gameplay you have to go through before you get there is hardly worth it. A gold star next to your name on the office performance chart would be more satisfying. Grim Souls: Dark Fantasy Survival lets you see your entire skill tree in advance. You can choose whether you want to build towards owning your own castle or sailing to a new land but the time investment required to reach those levels is insane. After a while it becomes more of a grind than a joyful gaming experience. The graphics and color-scheme makes this game even more drab. Everything is gray and black with a touch of brown while the weapons and armor have little to distinguish them. Dedicating your life to this game will rid you of many free hours that you had lying around. Combat is painfully boring. You have one attack button and no special mechanics. Inventory space is unreasonably small and the only way to increase it is with an IAP. A boring game with drab presentation. Leveling up is the carrot on the stick for a game like this but if you want to keep people playing then that carrot has to be enticing and at least appear attainable. The upgrades in Grim Soul: Dark Fantasy Survival are spaced too far apart to make the endless grind worth the effort. This game could have benefited from sticking to one theme. The developers tried to make it a survival, action and exploration game all in one but failed to capitalize on what gamers love about any of those genres. Sometimes when playing Grim Soul: Dark Fantasy Survival, bluestacks ask you fee to pay but gives you option to download some apps. Every time it asks you just select “Install apps” and continue using it free. I hope you enjoyed this article, please rate and share. If you have problems running Grim Soul: Dark Fantasy Survival on your desktop or any other issues, leave a comment below.